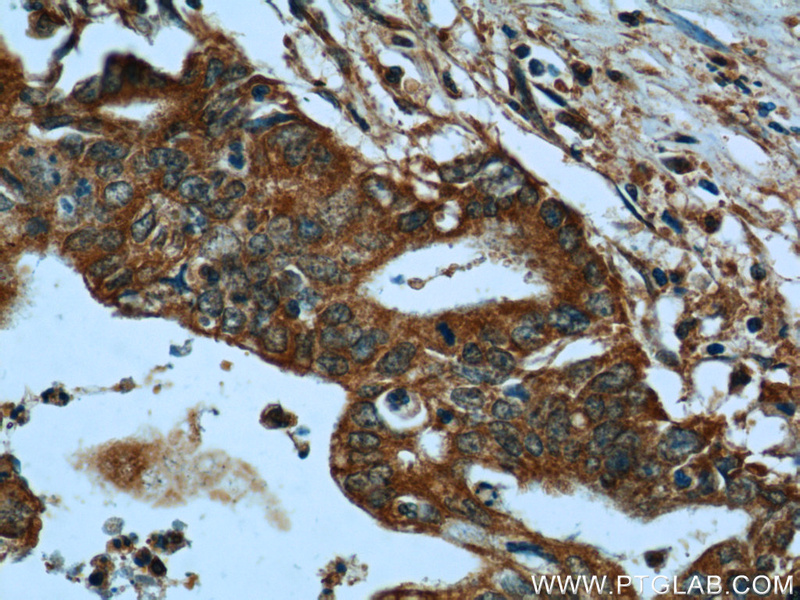 IP Result of anti-tPA (IP:10147-1-AP, 3ug; Detection:10147-1-AP 1:1000) with mouse kidney tissue lysate 4000ug. 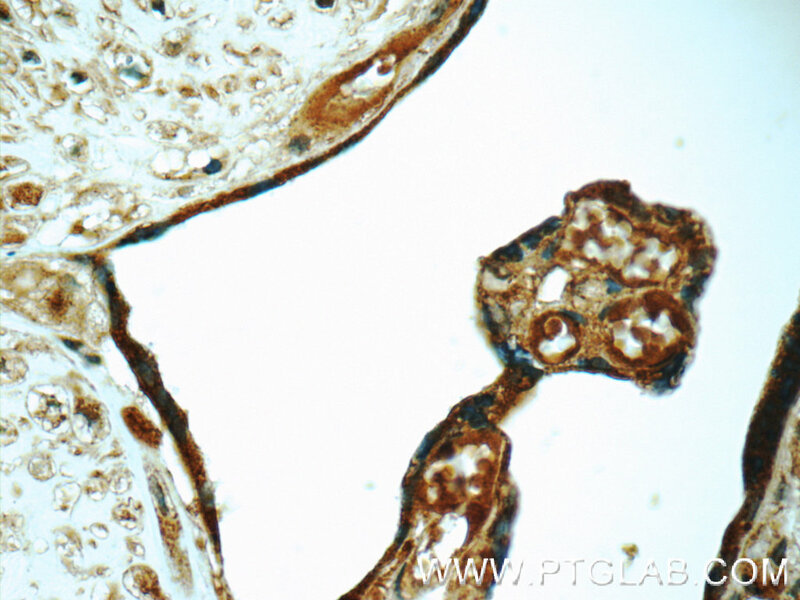 Plasminogen activator, tissue (PLAT, synonyms: TPA, T-PA) is a tissue-type plasminogen activator, a secreted serine protease which converts the proenzyme plasminogen to plasmin, a fibrinolytic enzyme. Tissue-type plasminogen activator is synthesized as a single chain which is cleaved by plasmin to a two chain disulfide linked protein (33 kDa and 32 kDa). 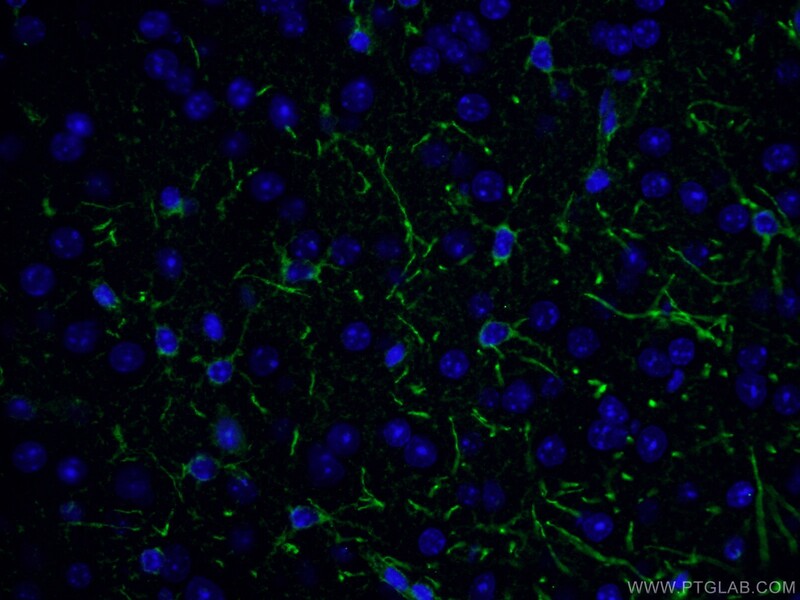 PLAT enzyme plays a role in cell migration and tissue remodeling. Increased enzymatic activity causes hyperfibrinolysis, which manifests as excessive bleeding; decreased activity leads to hypofibrinolysis which can result in thrombosis or embolism. 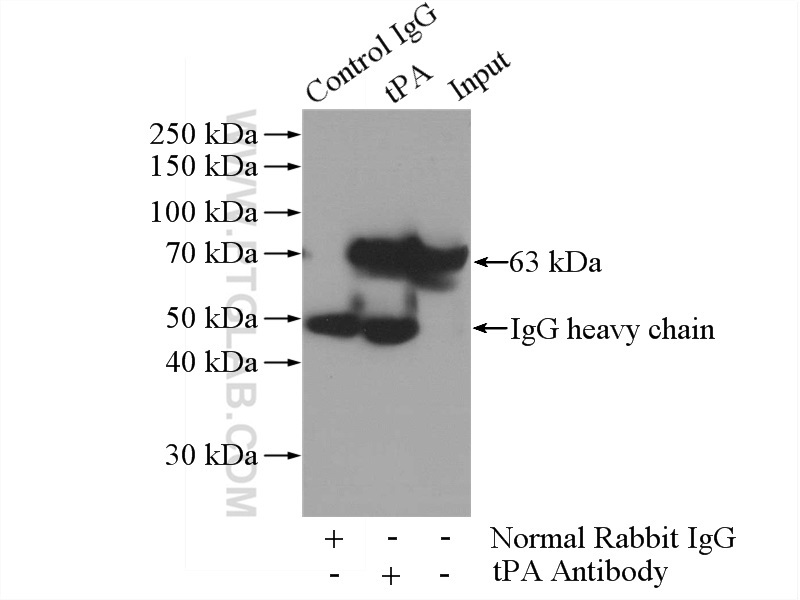 tPA has 4 isoforms produced by alternative splicing with the MW of 63 kDa, 33 kDa, 57 kDa and 44 kDa. Tryptase promotes atherosclerotic plaque haemorrhage in ApoE-/- mice. Tissue plasminogen activator contributes to alterations of neuronal migration and activity-dependent responses in fragile x mice. Development of a Biomimetic Chondroitin Sulfate-modified Hydrogel to Enhance the Metastasis of Tumor Cells. 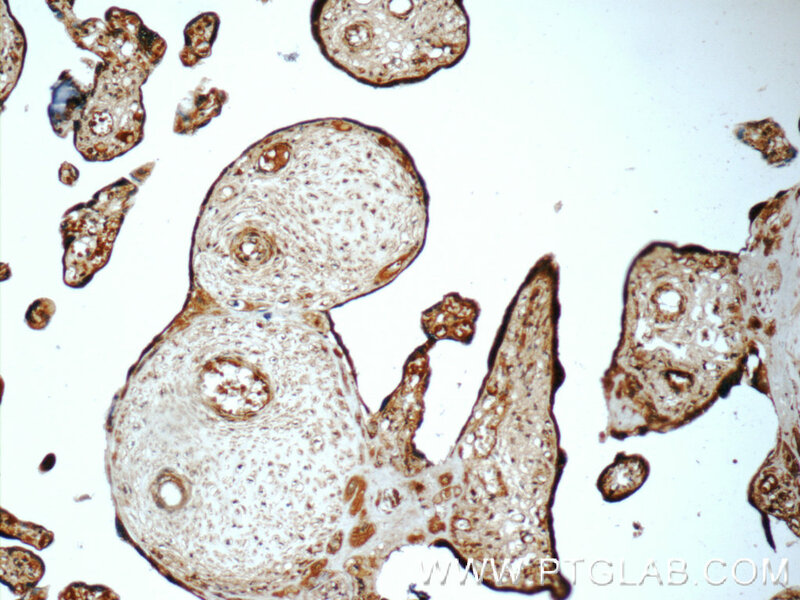 Novel decellularized liver matrix-alginate hybrid gel beads for the 3D culture of hepatocellular carcinoma cells. 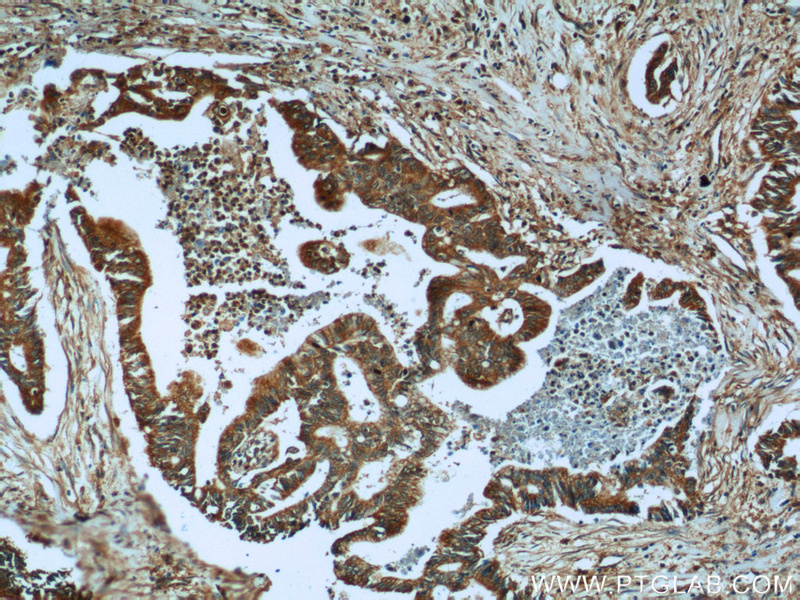 Immunohistochemistry of paraffin-embedded human ovary tumor tissue slide using 10147-1-AP( tPA antibody at dilution of 1:200 (under 10x lens). 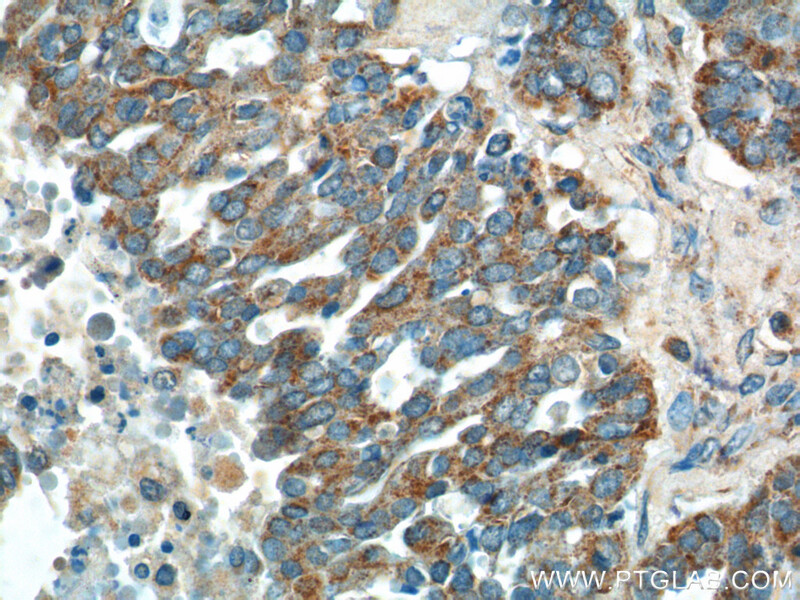 Immunohistochemistry of paraffin-embedded human ovary tumor tissue slide using 10147-1-AP( tPA antibody at dilution of 1:200 (under 40x lens).